Bloody Mess Plastic Mask will transform your Halloween look into something only a serial killers mother could love. 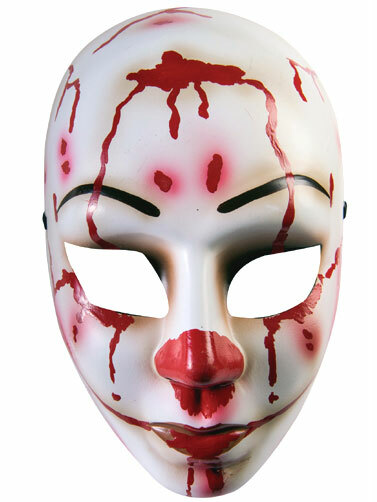 Plastic mask features a white face with red nose, arched black eyebrows and red blood splattered all around. Would be great for evil clowns, mental patients and more bloody characters. Elastic strap holds the mask in place. Bloody Mess Plastic Mask s Adult sized. One size fits most.